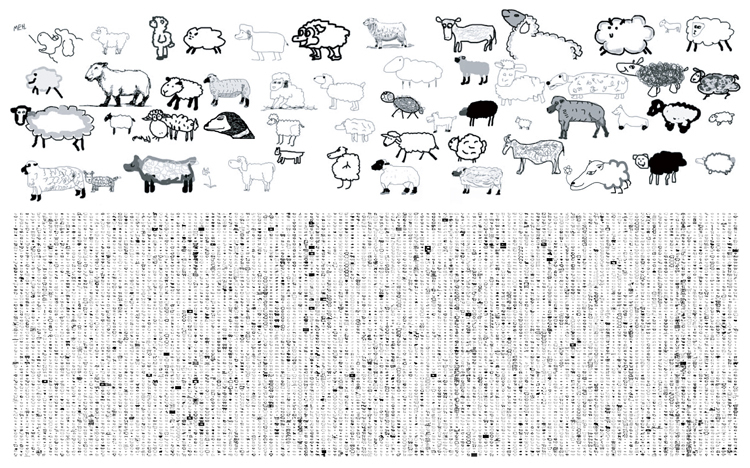 10000 sheep drawn for $.02 by workers on The Mechanical Turk. 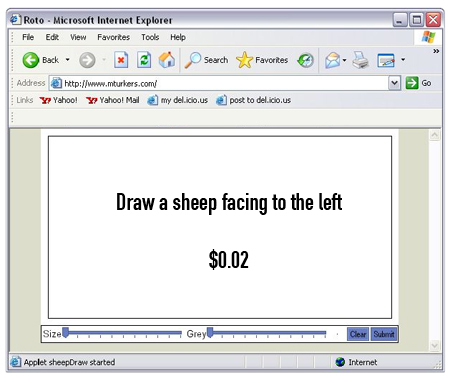 Thousands of workers on Amazon's Mechanical Turk web service were paid two cents to "draw a sheep facing to the left." 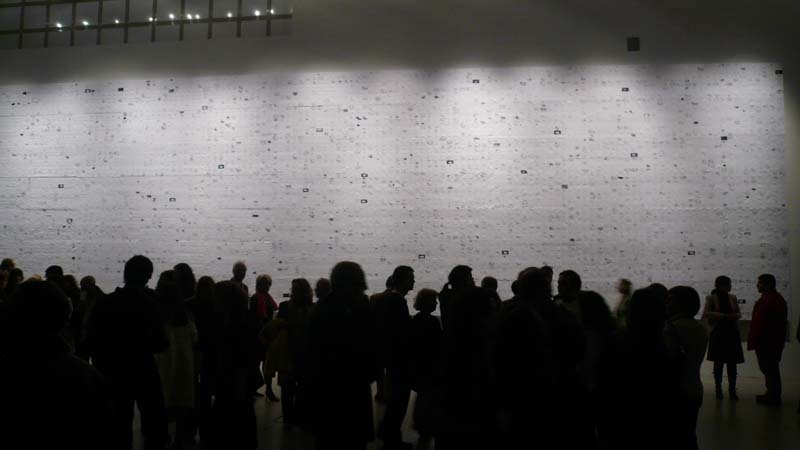 The sheep drawings were collected and printed on collectible stamps. The animated process of each sheep's creation may be viewed at www.TheSheepMarket.com.